Search for a Linux Business Form Software. 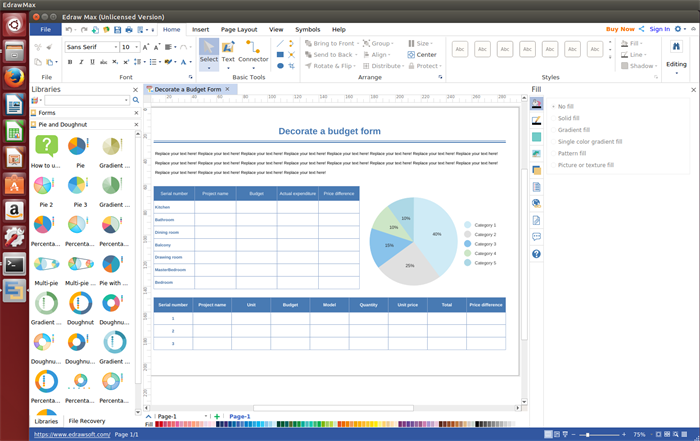 Edraw Business Form Software for Linux should be what you need. 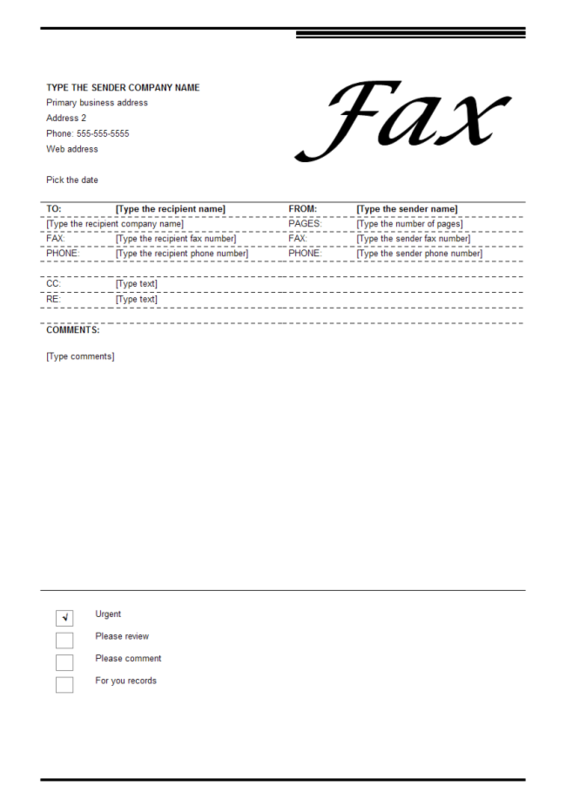 Its free vector symbols and business form templates makes you create any business form such as invoice, work order easily. Edraw is such a fast, easy-to-use Business Form Software for you to design different kinds of business form such as billing statement, competitive analysis, work order, budget form, invoice, etc on Linux without any drawing skills required. A variety of respected business form templates that will let you move from simple invoice designs to complex budget forms and sales forms. 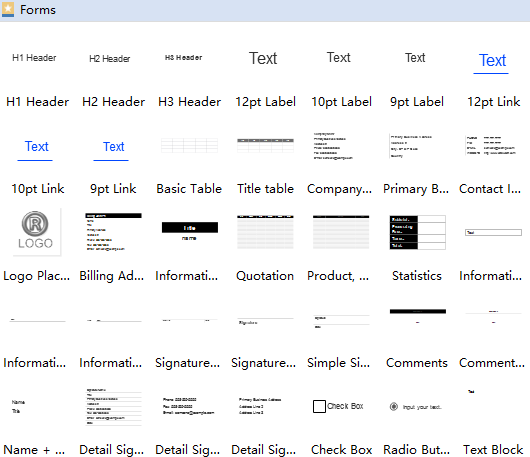 A number of high-quality shapes, examples make you create any business forms in minutes. Allow you to create professional-looking diagrams quickly with themes, effects and quick styles. Enhanced export features including BMP, JPEG, PDF, SVG, HTML, Word, PPT, PowerPoint and much more format. Cloud collaboration supported. You can upload the completed business forms to Team Cloud for sharing with collegues. This Business Form Software for Linux covers all the symbols you may need when drawing business forms. Except that, a set of drawing tool in this program enables users to create their own symbols. Complete necessary company information. Drag and drop a header, company logo, address, and contact information from left library and customize them to fit your own situations. 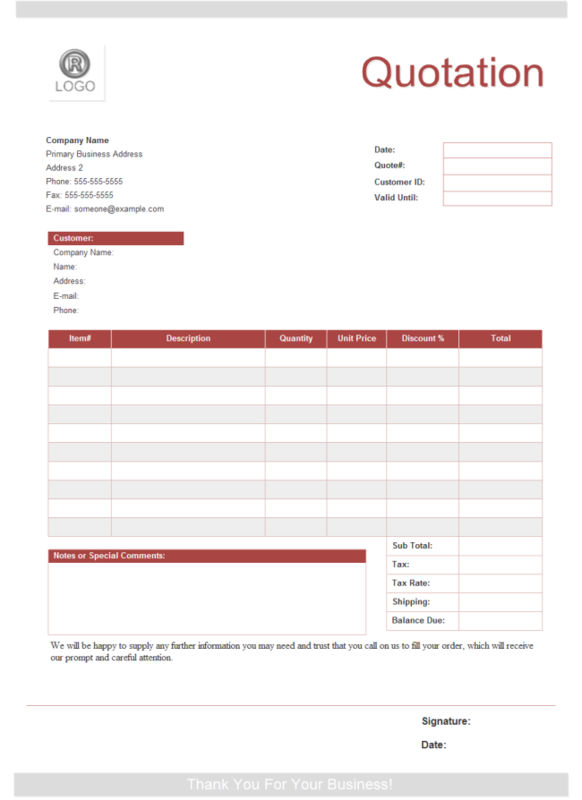 Learn more details on how to create business forms. 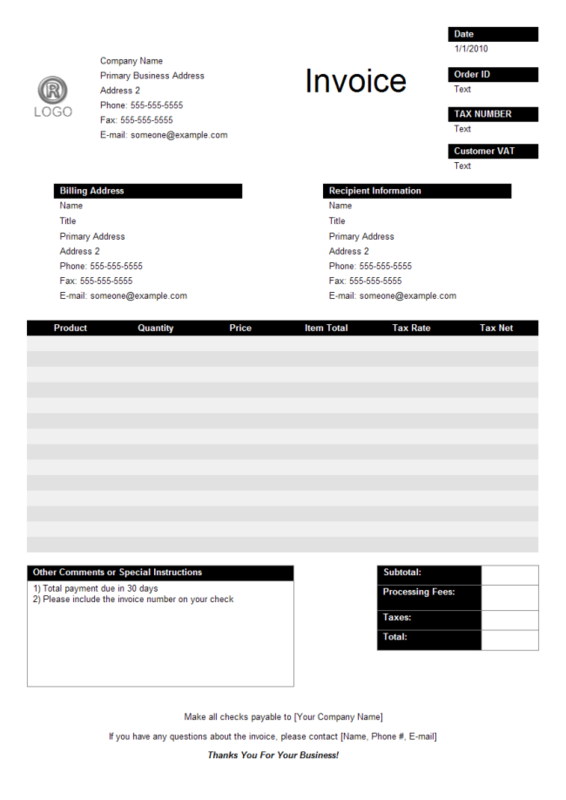 Below are some business form examples designed by our professional business form software on Linux. Simply free download, edit and share them.